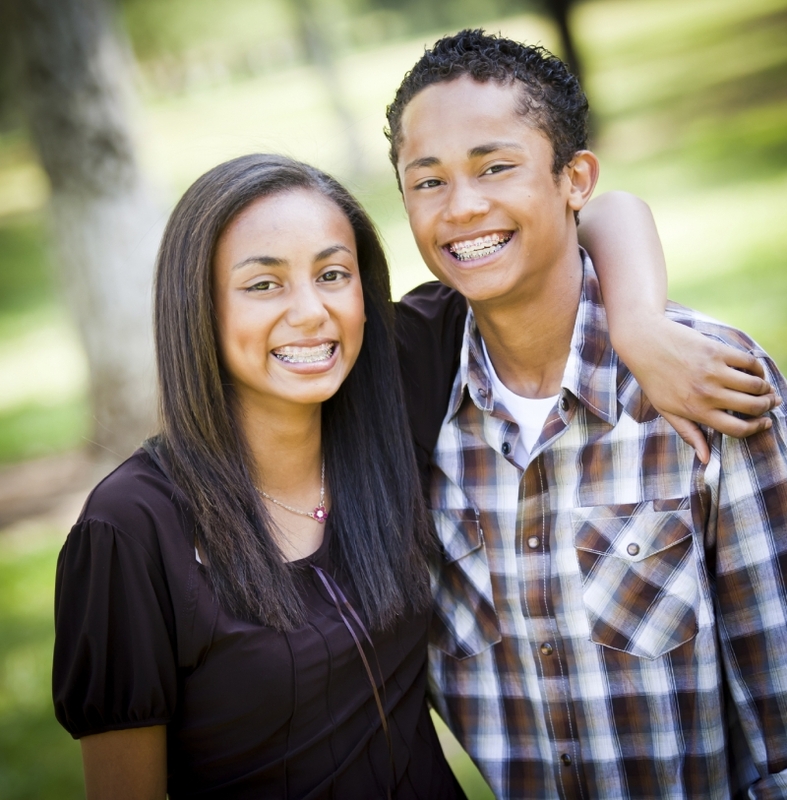 At Amador Dental & Orthodontic, kids dentistry is about more than just bright, healthy smiles. Dr. DeVinney wants to make sure your child’s visit is rewarding and fun. Our kids dentistry team always takes the extra time to earn the trust of both you and your child, to make sure each trip to the dentist is a pleasant, calm experience for your entire family. As a parent himself, Dr. DeVinney understands that you want the best for your child. At Amador Dental & Orthodontic, we focus on providing the highest quality pediatric dental care possible. It’s completely normal for a child to be unsure or nervous about their first dental visit, but at our Pleasanton dental office, they don’t have to be! Our practice is designed to make your child comfortable and excited to visit the dentist. The American Academy of Pediatric Dentists (AAPD) advises that children be seen for a checkup every 6 months. These visits allow Dr. DeVinney to closely monitor new changes in your child’s mouth and ensure that you, as a parent, have the information you need to promote continued oral health in your child. Dr. DeVinney may suggest additional checkups if your child is more susceptible to cavities, or if your child is showing signs of orthodontic problems. Dental fluoride treatments are safe and effective in decreasing the amount of cavities in children. Dr. DeVinney often recommends fluoride treatments along with dental sealants to protect your child’s teeth. Fluoride acts as a shield for the tooth’s outer enamel and can actually reverse early dental decay in some children. At Amador Dental & Orthodontic, we typically apply a protective sealant to your child’s back teeth, premolars and molars. The sealant will last for several years, but we will continue to check it during your child’s regular dental appointments. Treatment for cavities in children depends on how severe the decay is as well as each child’s age and risk of future cavities. At Amador Dental & Orthodontic, we typically treat cavities with discreet, effective tooth-colored fillings. Dental crowns are tooth-shaped coverings cemented to a badly damaged tooth to restore the shape and functionality of the tooth. Dr. DeVinney may recommend a crown for your child’s tooth if it has a large cavity, was broken or chipped due to trauma, or if the tooth hasn’t developed correctly. Unfortunately, sometimes a child’s tooth may be too badly decayed to save. In cases like this, Dr. DeVinney will perform an extraction. An extraction may also be recommended if the tooth is severely fractured or is crowding other healthy teeth. If your child is anxious, has special needs, or just needs extra help staying calm and comfortable, Dr. DeVinney may recommend nitrous oxide. Also known as laughing gas, nitrous oxide is a completely safe way to help children receive the dental care they need without anxiety or fear. Once the dental treatment is over, the gas will be completely out of their system after just a few minutes. Nitrous oxide is widely considered to be low risk. At Amador Dental & Orthodontic, our goal is to always care for your child’s dental health in the safest way possible. Please note, we do not administer nitrous oxide to any patients under 13 years of age. Your child might need a space maintainer if they lose a tooth early or have a baby tooth extracted. If your child needs a space maintainer, our orthodontist, Dr. Karkhanechi, will custom make it to fit your child’s mouth. It will keep the space where the baby tooth was lost open in order to allow the permanent tooth to come into place. Is your child due for a preventive checkup? Give Amador Dental & Orthodontic a call to schedule their pediatric dental appointment with Dr. Karkhanechi today! We offer a range of products such as braces and Invisalign to help correct teeth alignment and bite issues for teens and adults. Se habla Español. we offer comprehensive general dentistry services to adults and children to keep your smile healthy, confident and bright.